@CescaLR yeah true. I don't understand why EA don't want to sell the game anymore. Yeah, it doesn't make any sense. I guess they think people won't play it because of the graphical quality and how annoying it can be for some unlucky individuals to get working on windows ten? I mean, just run it in compatibility mode and your good to go lol, but eh. They're still stupid, but I can see where their stupid logic is coming from, at least. Even if it's stupid. 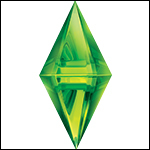 One of their most ridiculous moves was taking down the sims two site. The launcher for the sims 2 likes to crash for me now because it's trying to display the site when the site doesn't exist anymore, ugh. I just have to click play rrreallly quick-like. @CescaLR I agree. You can run it without the launcher though. Just find the .exe and run it from there. That's true, I always forget that, lol. @CescaLR Shame my hard drive is dead and I can't play. I only play FreeSO now. ah, damn. Feel for ya. Whelp, on that note - I just saw the time out the corner of my eye and like, damn, 02:47?? So, yeah, I'm gonna go get some sleep now, whoops :|. See you (and any other member of this site) later, yeah? @CescaLR see you. Good night!